Kevin, a newly retired police officer, faces tougher challenges at home than he ever did on the streets. In the series opener, Kevins retirement plans go awry when he learns his wife has shielded him from key family problems while he worked as a cop and that he must now face them head-on. Efter att ha dömt ut sina egna vänner som tråkiga skickar Kevin ut en inbjudan till Donnas bokklubb. Kevin råkar illa ut när han avänder Goody´s hjältesaga för länge sedan när han glömmer bort sin bröllopsdag. On Halloween, Kevin and Donnas neighbors trick them in holiday style when they pretend not to be home to avoid giving out candy. Also, Chale has an altercation with a man dressed as a Viking. 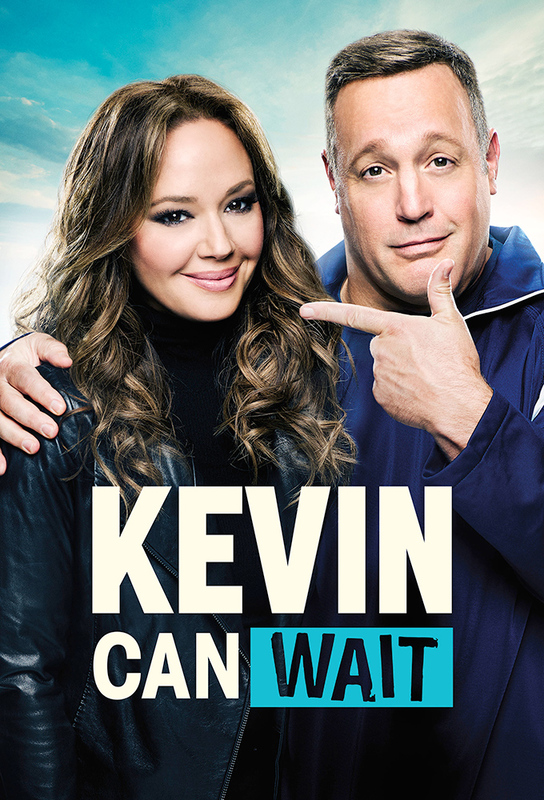 When Kevins ego is bruised after learning his former partner has a young, buff rookie named Nick, to ride with, he tries to reconnect by showing him what hes missing. Kevin convinces his buddies to invest in his new food truck venture, but when his chef quits, Kevins worried he bit off more than he can chew. Kevins resolve to spend more quality time with his family is put to the ultimate test when his buddies surprise him with tickets to see his favorite musician, Billy Joel, in concert. Billy Joel appears as himself. Kevin volunteers to help Mott and his seven kids prepare for the holidays while Motts wife is away, much to the dismay of Donna who is left high and dry on her own until Kyle swoops in to help. After Kevin learns Chale took a job to buy Kendra an engagement ring, he decided to make good on his overdue promise to buy Donna a proper ring but his plan backfires when he tries to surprise her. As Kevin tries to charm his neighbor into giving him permission to cut down one of her trees, he becomes intimidated by her imposing son and invites them over for a non-existent party. Kevin brags about saving a man from choking after hearing how much attention his brother Kyle is receiving for saving a cat, Adam Ferrara guest stars as Bill, a man Kevin saves from choking, and The Insider correspondent Michael Yo guest stars as Tom, a morning show anchor who interviews Kyle. Kevin and Donna jeopardize their chance for a kid-free vacation care of their chiropractor, when he catches them cheating on him with his colleague. Also, Kyle is still bitter that Kevin overlooked him to be best man at his wedding to Donna. Kevin competes with his childhood nemesis who is intent on reserving the same church date for his daughters nuptials that Kendra wants for her wedding to Chale. Both men battle for the priests approval by becoming more involved in the church. When the Gables mailbox is smashed, Kevin organizes a neighborhood watch with Goody, Duffy and his neighbor Rutger. Its later revealed that Kevin concocted the crime to avoid hanging out with Stewart, the annoying husband of Donnas cousin Irene. When Kevin and Chale get jobs working in the warehouse at an electronics store to help pay for the wedding, Chales quick promotion to the sales floor kick-starts Kevins competitive side. When Donna says shell send Kevin to the Mets Fantasy Camp if he lowers his cholesterol, Chale secretly coaches him through a juice cleanse. In part one of the season finale, Kevin begrudgingly agrees to come out of retirement briefly to reprise an undercover assignment where he and his old rival Vanessa Cellucci, once again, pose as husband and wife. Also, Donna is up for a promotion and Chale gets a lucrative new job. In the conclusion of the season finale, Kevin is strong-armed by his undercover partner, to extend their investigation by attending a fraudulent dealers weekend show in Boson. Also, Chales dream job is not what it seems and Donna mouths-off to her boss.